This post is sponsored by Marker’s Mark. All opinions are 100% my own. Looking for a seasonal cocktail to top all others? 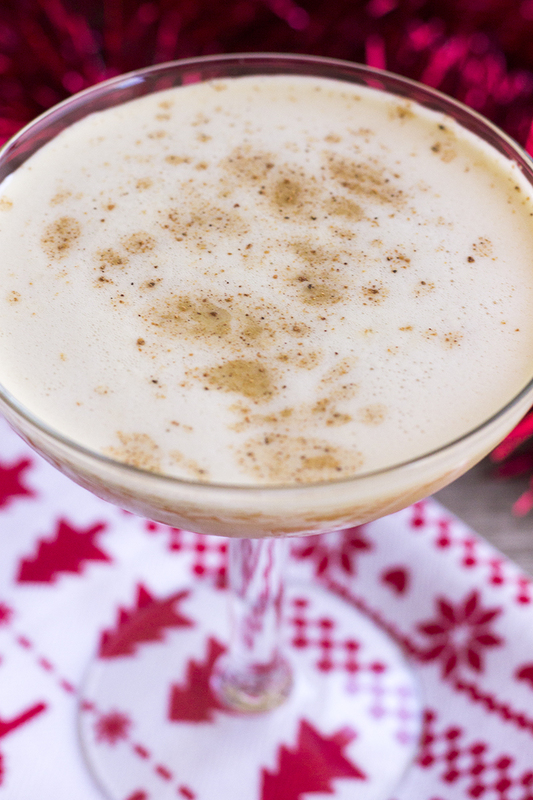 This creamy Bourbon Flip is a lighter take on eggnog perfect for your holiday party! It’s that time of year! 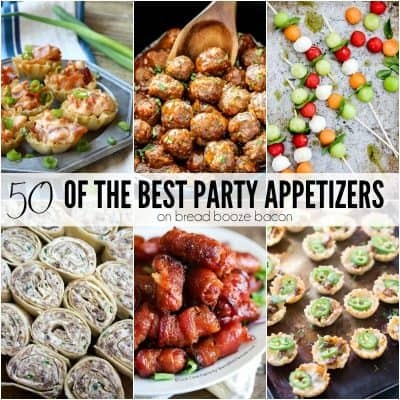 Cold weather, sweaters, jackets, holiday baking, parties with friends and family, and my favorite…great holiday cocktails! 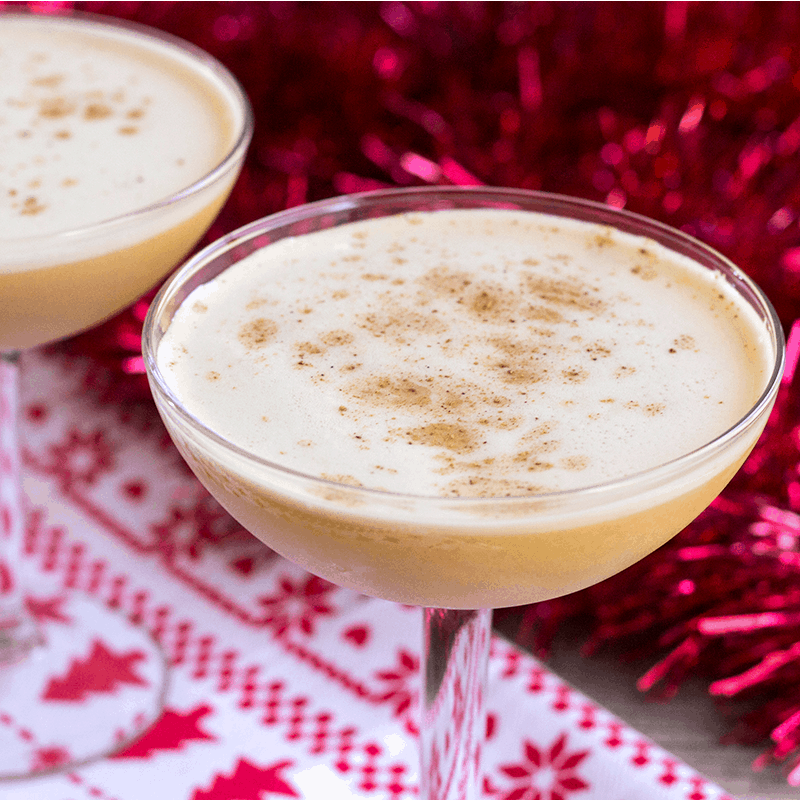 This flip cocktail is a throwback to pre-prohibition days that’ll have everyone forgetting about eggnog in lieu of this holiday favorite! While you can use a variety of spirits to prepare your flip, I prefer a whiskey flip, specifically a bourbon flip. The flavor profile of the bourbon goes great with the nutmeg and creamy texture of this cocktail. Now, I did say that this is a lightened up eggnog and I wasn’t lying. 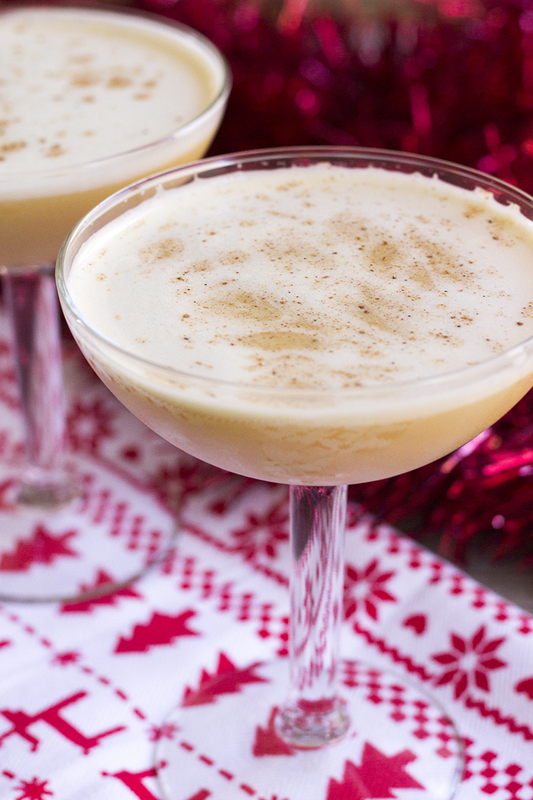 Traditional eggnog is made with a spirit, egg sugar, cream, and spice. The flip cocktail is made with a spirit egg, sugar, and spice – no cream! All the flavors you love without that coated mouth feeling. So how does this drink come out creamy and smooth? It’s all about the egg white and air. Yep. Air. Once all the ingredients are in your cocktail shaker you shake the crap out of them. Like for a good 1 to 2 full minutes. Your arms should feel tired and you should be worried about your fingers sticking to the cold metal. Okay, not really sticking, but you get the idea. All that air whips up the egg whites like you would for a meringue to create an airy, smooth and creamy froth of egg flip deliciousness! 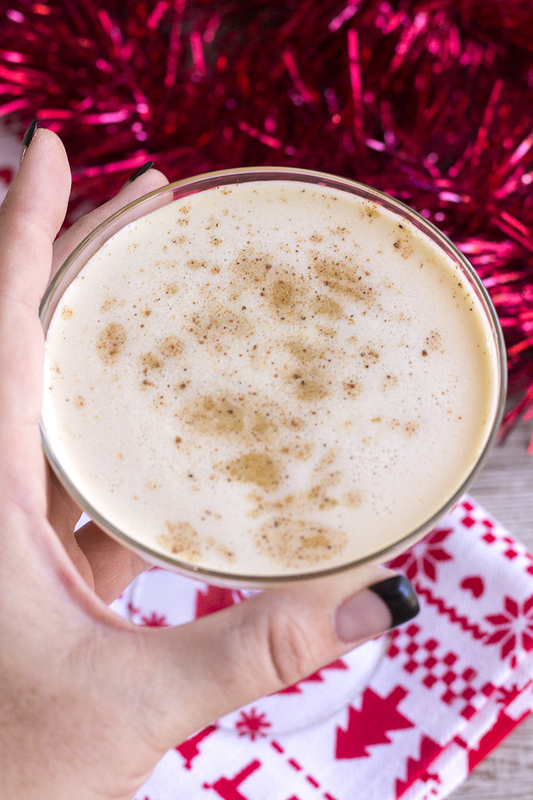 This year, change out your eggnog for this easy Bourbon Flip and watch your holiday party guests flip for this cocktail! To a cocktail shaker, add the bourbon, simple syrup, egg, and ice. Close and seal the shaker. Shake vigorously A LOT! You should feel tired by the time your done (at least 1-2 minutes). Strain the cocktail into a coupe or champagne saucer glass. Top with freshly grated nutmeg. Serve immediately. To make simple syrup, combine equal parts water and sugar in a saucepan. Bring to a simmer and cook until sugar is dissolved. Remove from heat and cool to room temperature before using. If you can't get your hands on whole nutmeg, ground nutmeg will work okay too.